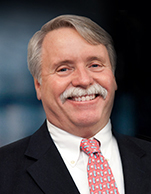 Effective October 1, 2014, Joseph V. Topper, Jr. was named the Chief Executive Officer and President of CrossAmerica GP, the general partner of CrossAmerica Partners LP, formerly Lehigh Gas Partners LP. Mr. Topper was Chairman of the board of directors and Chief Executive Officer of Lehigh Gas GP, the general partner of Lehigh Gas Partners LP, since December 2011. Mr. Topper has over 25 years of management experience in the wholesale and retail fuel distribution business. In 1987, Mr. Topper purchased his family's retail fuel business and five years later founded our predecessor, where he has been the Chief Executive Officer since 1992. Mr. Topper currently serves on the Board of Trustees for Villanova University as Vice Chair, the Board of Directors of CST Brands, Inc., and the Board of Directors for Lehigh Valley PBS. He is the past President of the board for Lehigh Valley PBS and the Lehigh Valley PBS Foundation and previously served as a board member for the Good Shepherd Rehabilitation Hospital in Allentown. Mr. Topper holds a master of Business Administration degree from Lehigh University and a Bachelor of Science degree in Accounting from Villanova University. Mr. Topper is also a Certified Public Accountant. Mr. Topper and his wife, Maureen, have four children.